Hand-E-Foam Alcohol Free Foam Hand Sanitizer sanitizes hands without the need to rinse, use water or dry hands with a towel. 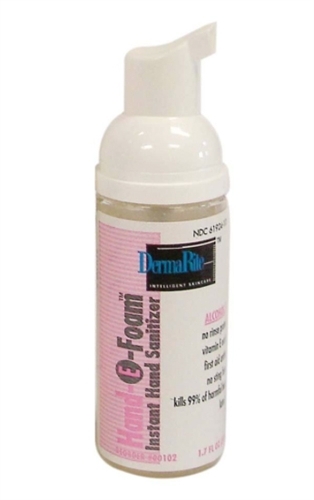 Hand-E-Foam utilizes Benzethonium Chloride to offer unsurpassed hand sanitization. It is enriched with vitamin E and does not dry out skin like many other hand sanitizers.